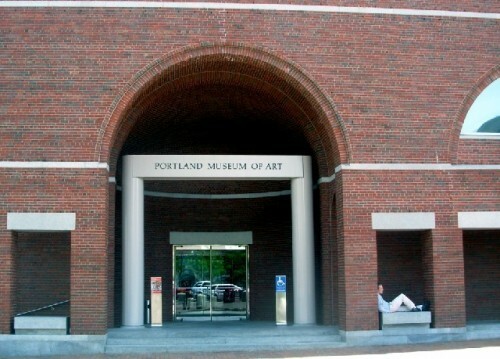 Entrance to the Portland Museum of Art. It was a lively project. The 2011 Portland Museum of Art Biennial, on view from April 7–June 5, 2011, is the seventh in an ongoing series of exhibitions showcasing new work by living artists connected to the state of Maine. All artists who have spent significant time in Maine during the last two years (since January 1, 2008) are invited to submit images of their work in any medium for consideration by the jurors. Any work exhibited in our sister exhibition, the 2010 Center for Maine Contemporary Art Biennial, will not be eligible. 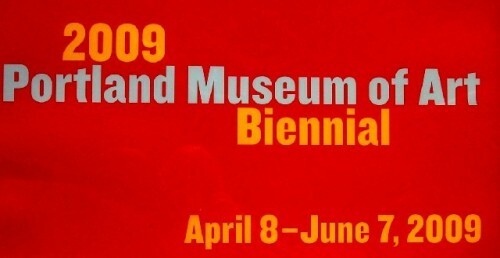 The jurors for the 2011 Portland Museum of Art Biennial are: Jim Kempner, Owner and Director, Jim Kempner Fine Art, N.Y.; David Row, painter based in N.Y. and Maine; and Joanna Marsh, the James Dicke Curator of Contemporary Art at the Smithsonian American Art Museum,Washington, D.C.
Artists’ identities will not be revealed during the jurying process, and selections will be made chiefly on the basis of submitted visual materials. The jurors may select as many or as few of the works submitted by each artist as they see fit. Artists will be notified of jurors’ selections by October 8, 2010. Please do not call the Museum for jury results. If selected, you will receive a contract and further instructions concerning exhibition procedures. 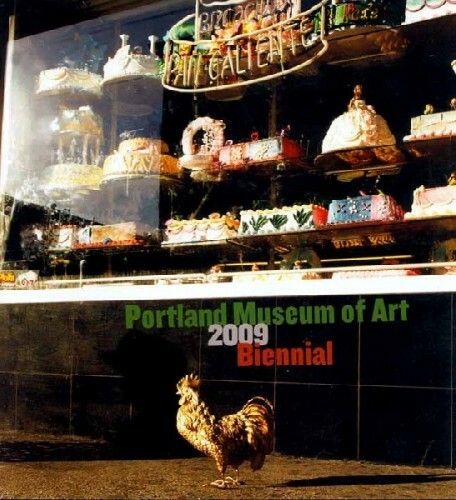 Individual works in the 2011 Portland Museum of Art Biennial may be recognized in two different ways: a jurors’ award of $4,000, and one or more Purchase Prizes that enable the Museum to purchase work from the exhibition. The Purchase Prize(s) will be awarded by the Museum and will be funded by the Contemporary Art Fund. An individual artist may receive more than one award. A full-color illustrated catalogue of the exhibition will be published and sold in the Museum Store. If selected, Biennial artists must supply a print quality digital TIFF measuring at least 5 x 7 inches at a resolution of at least 300 dpi. The Museum reserves the right to reproduce works photographically for publicity and educational purposes. All work must be delivered ready for display, with proper frames, hanging devices, etc. Artwork is insured while at the Museum only. Artists must bear all incoming and outgoing transportation costs as well as any extraordinary materials, labor and/or technology costs required for installation of their work. Please call the Museum at (207) 775-6148, ext. 3240. "I lived in Thailand and I want to sent my digital works to the museum how I frame it?" "Please send application & requirements to the person listed below. Thank you "
"Is the 2011 Biennial exclusive for contemporary art only?"